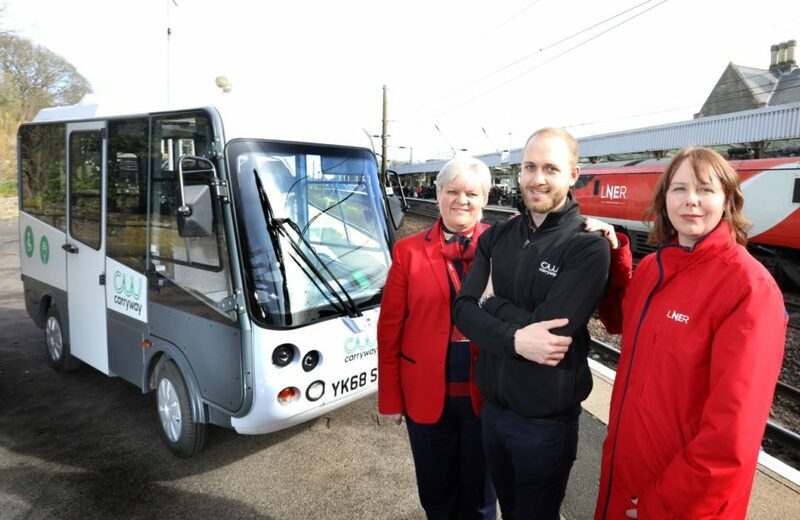 A zero-emissions mobility shuttle is providing a UK first for passengers at Durham railway station, providing onsite traveller assistance during vital refurbishment work. The fully electric vehicle provided by smarter service vehicle partners Carryway, is being used at the station throughout the first half of 2019. The vehicle offers onsite traveller assistance as the station underpass, usually open to vehicles, is closed for improvement works. The station underpass linking north and southbound platforms is currently closed to vehicles to allow renovations to be made by London North Eastern Railway (LNER). The much anticipated transformation project at the historic station includes new brighter and environmentally friendly LED lighting, enhanced walkways, enhanced CCTV coverage and new themed wall panels. LNER look to offer customers a smooth end to end journey experience and have worked hard to minimise the impact of these improvement works on all customers who use the station. With this in mind the underpass has remained open to pedestrians, however, the steep geography of the station, could pose a problem for some customers moving between platforms. In preparation for the proposed underpass disruption, LNER approached Carryway in search of a compact electric mobility solution to assist customers on site during this period. After a site visit and consultation from Carryway, LNER opted to hire a zero-emissions Esagono mobility shuttle fitted with an electric wheelchair lift. This compact vehicle is able to transport one wheelchair user along with up to three additional seated passengers. 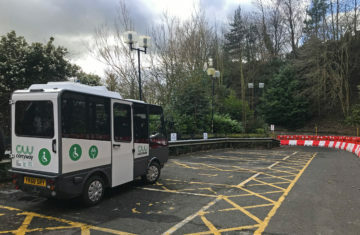 The Esagono mobility shuttle has proved the ideal solution, able to transport passengers up and down the steep incline between the underpass and platform 2. Customer feedback has been positive with many impressed at LNER’s commitment to operating a seamless service, even during the necessary part closure of the road access. The green credentials of the vehicle are also in line with LNER’s commitment to the environment. Carryway who have provided the electric shuttle to LNER specialise in Smarter Service Vehicles and electric mobility solutions. They are the UK’s official representatives for Italian electric vehicle manufactures Esagono, along with the other leading EV brands Club Car and Garia. Carryway offers a range of fit to task electric transport solutions and can provide consultation services to help clients find the right vehicle to meet the requirements of their site.